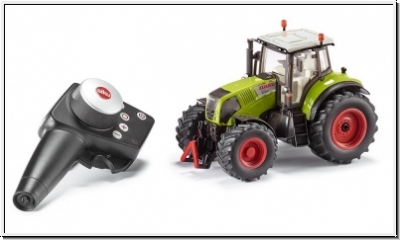 Three new tractor models are now added to the SIKU Control32 series in the lower price category. Existing radio components using the 2.4 GHz wavelength and simpler production have helped to make the highly complex SIKU Control32 technology available for a more reasonable price. The stable and high-quality tractors produced in die-cast metal and plastic will be easy to operate with the newly developed radio control module. The driving and steering functions have been completed proportionately and facilitate precise driving and manoeuvring. The light at the front and rear is permanently switched on during operation. In stand-by mode, i.e. after switching on the model and before connection to the radio-control module, the flashing light indicates the model is ready for start-up. The model is powered with three standard “AAA” batteries. Rechargeable batteries of the same type can also be used. If the batteries run below a specific level during operation, the light flashes rapidly indicating that the batteries will soon be empty. Two identical batteries also power the radio-control module. 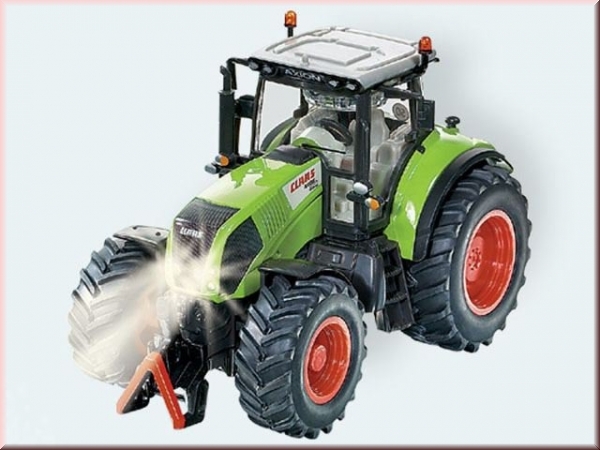 The tractors are fitted at the front and rear with standard SIKU coupling devices that can be manually operated. This means all SIKU Farmer32 trailers and coupling devices for front and rear coupling can be used with these models. The integrated play system will also be continued with all new models. The data socket integrated at the rear section of the tractors facilitates use of Control accessory models such as trailers, whirl rakes and ploughs. This Product was added to our catalogue on Saturday 01 October, 2011.